Our forefathers from Germany were unknowingly the architects of our dream. 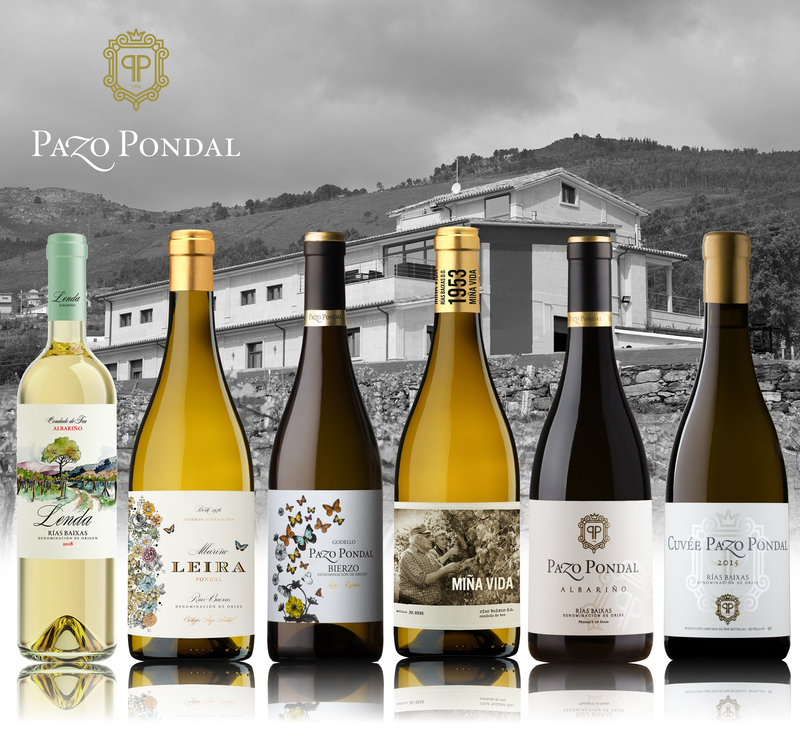 Pazo Pondal is a family winery founded in 1998. We are located in Arbo (Pontevedra), one of the best sub-regions for Rías Baixas D.O. Albariño. 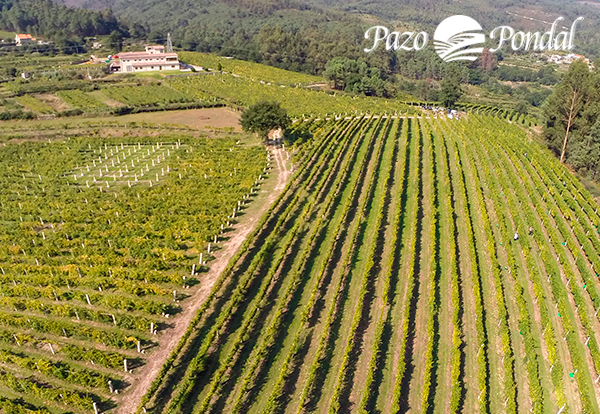 Our family winery has a history of striving to produce wines that express their terroir, wines that are full of the fruit and floral aromas that characterise the complexity and style of Pazo Pondal wines. Our estate, located on the north bank of the Río Miño, includes 15 hectares of trellised vineyards where we cultivate our Albariño, the Galician grape par excellence, with great care and dedication. Our forefathers from Germany were unknowingly the architects of our dream. In 1976 our family began the tradition of growing grapes, especially Albariño, devoting a lifetime to viticulture and transmitting passion, respect and good practice to a whole generation of children and grandchildren. Our mission with these soils is to minimise erosion due to area’s high rainfall and to achieve mineral balance in the soils to avoid dependency on chemicals/biocides. Due to her youth, sensitivity and love of wine, she strives to produce more personal wines, for the first time taking into account all the various environmental factors in their creation to produce wines that are the ultimate expression of their terroir. She has brought together a like-minded team who has close involvement in the development of the winery, and a commitment to 100% responsible viticulture in order to make all of her projects, which include various styles of wines, a reality. Apart from creating more personal wines she focuses much of her work on the regeneration of soils and reviving the ancestral practices of our grandparents. Our mission with these soils is to minimise erosion due to area’s high rainfall and the sloping land, and to achieve mineral balance in the soils and fertility making the plants naturally healthy and avoiding dependency on chemicals/biocides. At Pazo Pondal, we wish to play our part in preserving the environment. 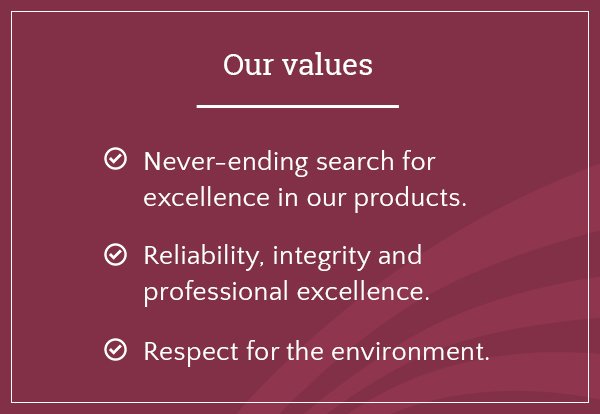 We are therefore proactively committed to its protection and sustainability. Working closely with experts in the field, we started the conversion process in 2015, enhancing and controlling our own organic matter. Organic growing is our pledge to sustainable development. Our goal is to ensure that there is minimal risk of the wine’s aromatic and organoleptic properties being altered through exposure of the grapes to certain chemical products. We are seeking to obtain organic grapes in a sustainable and balanced manner, preserving the fertility of the soil and respecting the biodiversity of the environment. Everyone working for us and with us strives to achieve this sustainability objective.